Porsche, Tesla, EV100, China, Electra Meccanica, Mahindra. Porsche Mission E for 90,000 euros? The serial version of Porsche’s Mission E is to hit the stores by end-2019 with pricing being comparable with the entry-level Panamera, thus around 90.000 euros. This is at least what the Car Magazine reports, referring to Porsche CEO Oliver Blume. According to him, the Mission E will come with different power output motors and eventually also with varying bodystyles in the long run. Tesla’s next stock price all-time high: The EV company’s stock price has climbed to 387 US-dollars, leading to a market capitalisation of almost 65 bn USD. Most probably, this development is due to the upcoming Model 3 production ramp up and deliveries: While so far, 1,500 units have been given to employees and company insiders, in October deliveries are supposed to start to regular reservation holders. As reported, Tesla intends to increase production output to 20.000 Model 3 units per month by December. 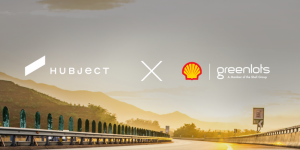 Multinationals team up: 10 worldwide operating company groups have founded an initiative called EV100 to encourage global business commitments on electric transport. 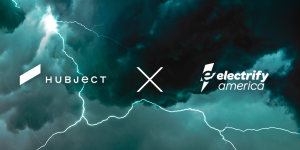 Together, Deutsche Post DHL, Vattenfall, Baidu, Ikea, Metro, NP, LeasePlan, PG&E, Unilever and the airport Heathrow want to send a strong market signal by e.g. seeking to switch to EV fleets and to install EV infrastructure for employees and clients until 2030. 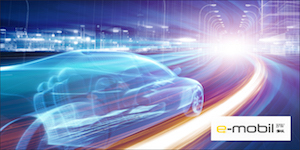 Baden-Württemberg will demonstrate E-Mobility expertise at EVS30: The State Agency e-mobil BW and its cluster networks “Electric Mobility South-West” and “Fuel Cell BW” participate in the joint booth “German Regions” at EVS30. The partners will proudly present the accumulated know how of the German South-West in the field of electric mobility solutions. Come and visit us at Hall 1, Booth A33. 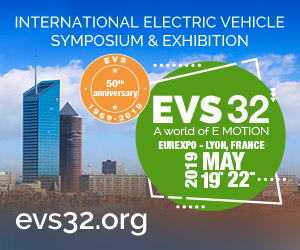 EVS30 will take place on October 9-11, 2017 in Stuttgart, Germany. New China alliance for EVs & Co: Internet giant Tencent has signed a strategic partnership with Chinese car manufacturer GAC as both seek to develop internet-connected cars and to explore investment into other business areas, among others also in the creation of EVs and PHEVs. Tencent also holds a 5 percent share in Tesla. Electra Meccanica sees high demand: Canadian manufacturer Electra Meccanica has registered 579 retail orders for its electric trike Solo whose large-scale production kick-off is scheduled for first half of 2018. On top, 102 orders have been received for the electric roadster Tofino, due in 2019. Taking also letters of intent into consideration, the company says orders amount to 19,845 Solos and 24,202 Tofinos. Mahindra’s new electric versions: Mahindra Electric is about to invest 3 to 4m rupees (45,000 to 62,000 dollars) in order to create electric versions of the Scorpio and the XUV500. Currently, the company is looking for cooperation to develop EV tech components. Prices for both electric versions are probable to be higher than for the existing diesel models. Further details have not yet been revealed. Video tip: V2G specialist Marc Mültin offers an exclusive introduction on how to handle certification according to ISO 15118, which defines roles of all parties taking part in the charging process. Reading tip: Voice of reason or cause of rage? Elon Musk is both as he answers critics over his role a business adviser to Trump. “How could having only extremists advise him possibly be good?” is his approach. Plus, he got a business to protect that is vulnerable to changes in environmental policies. Book tip: The first professional handbook about the ISO 15118 standard will soon be available. It is said to be a good read for beginners as well as experts. Marc Mültin now published a video about the book as well as a link to receive further updates and a free extract on his blog. Video tip: After the third try, company Acconia finally finished the Dakar Rally in an all-electric car (we reported), making it the first team to do so. Videos of their journey are now available.